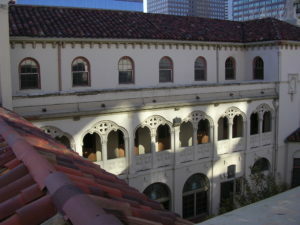 On October 31, 2011 Historic Denver, Inc., Capitol Hill United Neighbors (CHUN), and Colorado Preservation, Inc. (CPI) submitted two separate designation applications for the properties at 1840 Grant Street and 1835 Logan Street, both of which were once part of the Cathedral High School complex. This was done in response to an application for a Certificate of Non-Historic Status (CNHS) submitted by Sagebrush Capital Holdings on October 10th for the same two properties, at the time owned by the Archdiocese of Denver. The application for a CNH triggered a 21-day posting period to allow for comments or designation applications from the public. Sagebrush Capitol Holdings later cancelled their purchase contract and the certificate for non-historic status (in effect a demolition permit) was withdrawn by the Archdiocese. 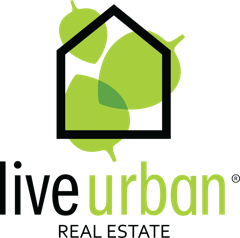 The Cathedral Parish agreed to negotiate with CHUN, Historic Denver, and CPI in an effort to explore opportunities for the buildings’ reuse. Together the groups hosted a successful Open House in February 2012, attended by more than 75 potential users, former students and preservation-minded developers. While strong interest remained in the long-term reuse and rehabilitation of the structures, particularly the Cathedral High School and Seton House portion fronting Grant Street, the Cathedral Parish leased the structure to Christ in the City, a youth service program. As the lease expired for Christ in the City, local developer St. Charles Town Co., with partner Barnhill & Co. purchased the building for an adaptive reuse project, but in 2017 sold the site to GFI Capital Resources Group, a group that intends to convert the existing structures into a hotel, likely using historic preservation tax credits. Historic Denver wants to thank Capitol Hill United Neighbors and Colorado Preservation, Inc. for their efforts, as well as all the citizens, alumni, and former teachers who expressed concern for the structures. We also want to thank the leadership at Cathedral Parish, including Monsignor Tom Fryar, for graciously listening to preservation concerns, working together to recruit preservation-friendly buyers, and for ultimately honoring this important and irreplaceable historic site. 1921 – Cathedral High School constructed by Charles J. Dunn. October 24, 1921 – Cathedral High School and Convent, designed by reknown architect Harry J. Manning is dedicated. 1950 – An addition was made to the school in order to accommodate the growing enrollment. 1976 – Building reopened as Seton House, named for canonized Mother Elizabeth Ann Seton. 1976 – Building renovated as an intercommunity residence for Sisters traveling to Denver. 1982 – The school was forced to close its doors at the end of the school year due to dwindling enrollment and growing debts. 1982 – Archbishop James V. Casey announced that the former high school will be turned into a Samaritan Shelter for the Homeless. 1989 – Mother Teresa visits Denver and decides to open a mission at Seton House. 1990 – The Archdiocese of Denver raised $500,000 in rehabilitation funds for the Seton House. The renovations included a new floor, rewiring, painting and new plumbing. Sunday, August 5, 1990 – Mother Teresa’s Sisters of Charity dedicate the Seton House, after thousands of hours of work by volunteers to restore paint and plaster. Hundreds of supporters gathered at 4 p.m. in the open courtyard, listening to Denver Archbishop J. Francis Stafford bless the then 69-year-old convent that had been boarded up for eight years. The Seton House was run on donations and provided housing and community for 10 to 12 AIDS patients at a time, mainly homeless men. 1991 – The Seton House was honored with the U.S. Health Agency’s Administrator’s Citation. The citation was a part of the government’s effort to recognize agencies and community-based organizations that dealt with AIDS victims. At the same time Mother Theresa was accepting a Department of Health and Human Services award for her work in founding the Seton House. 2003 – The sisters had lived out Mother Teresa’s call by caring for over 490 AIDS patients since 1990. 2011 – Grant Street Art Studios still going strong in the north wing of Old Cathedral High School. The Cathedral High School and Convent was designed noted Denver architect Harry J. Manning and is an exemplary example of Spanish Renaissance Revival architecture. Harry J. Manning is also known for the Capitol Life Insurance Building at 16th and Sherman, various structures on Regis College campus and St. Thomas Episcopal Church in Park Hill, the famed Circle Drive home of Mrs. Verner Z. Reed, as well as the Mary Reed Library on the Denver University campus, St. Thomas Episcopal Church, Charles Boettcher home, Oscar Malo home, and Byers Junior High School. To learn more about Harry J. Manning click HERE. This elegant 3-story building features a large center courtyard connecting the former Cathedral High School on the north to the former rectory on the south. The courtyard is enclosed by an arched cloister to the east and a decorative stucco and wrought iron wall to the west. Original wood windows and terra cotta elements as well as a four story bell tower characterize the finely detailed exterior aspects of the building. Both the interior and exterior of the building possess a high level of architectural integrity; however an addition to the school portion of the building was constructed by the early 1950s. The addition was designed to match the Spanish Renaissance Revival style of the original construction. The building also features a red clay tile roof and original arched wood doors. Although the wood windows and doors are deteriorated by weather and some cracking in the stucco is evident, the building is in very good condition. An ogee arch marks the main entrance to the convent on the west façade of the south building. A prominent religious statue resides in a niche above this entrance. The windows are predominately casement leaded lights on the first floor and follow a pattern found in renaissance revival styles where hierarchy allow for different sizes and shapes of windows to mark each floor respectively. Double hung rectangular windows are on the second floor and Roman arch top windows are on the third floor of the convent (south building). The original Cathedral High School (north building) has regularly patterned double hung windows with highly decorative lintel panels above and Moorish inspired scrolled pilasters marking each side of the masonry opening and some corners. Leaded lights are in the bay section on the north façade and in the courtyard. The roof is bracketed at its eaves and is predominately hipped with gabled protrusions on the Cathedral High School. The 1950s addition has a tiled mansard roof masking the flat roof behind. The skin of the building is covered in painted smooth stucco. A few decorative cartouches are located in the courtyard with cruciform symbols. The open arcades of the second floor cloisters are decorated with trefoil arches, chamfered columns and Greek cross forms inset within round medallions. The first floor arcade is open on the east with Romanesque forms and in-filled with windows on the south. Highly decorative plaster on the walls and ceilings of the interior accentuate window and door openings, as well as reinforce the Renaissance Revival style groin vaults in the hallways and chapel. The building has reinforced concrete floors and staircases, and is of fireproof construction throughout. In addition to the new construction of the convent, the building that had been used as a rectory at 1854 Grant, as well as the nearby two-story barn, were transformed in 1921. Construction was handled by Charles J. Dunn, a local contractor, at a total cost of $135,000. Dunn was a prominent citizen responsible for a large amount of the construction in Denver during the late 19th century. Dunn, a resident of Denver since 1887, was a general carpenter and builder with many contracts for private and public buildings. In addition to the construction business, he was also vice-president of the Joseph P. Dunn Leather Company, charter member and secretary of the Carpenters and Builders’ Association, member of the Knights of St. John, and Woodmen of the World, Denver, Camp No. 1. 1927 – Monsignor Hugh L. McMenamin started a campaign to build a gymnasium for the Cathedral High School, owned by the Denver Catholic Archdiocese. December 3, 1928 – The cornerstone of the Oscar Malo, Jr. Memorial Hall was laid in front of the six hundred pupils of the school. The Oscar Malo, Jr. Memorial Hall was dedicated to Oscar and Edith Malo’s son, who died in 1921 from blood poisoning. The building was erected at a cost of $58,000, with the Malo family contributing $30,000. The 1928 Oscar Malo, Jr. Memorial Hall was designed by famed architect Eugene Groves. To learn more about Eugene Groves, click HERE. The building is historically significant for its representation of the late Renaissance Revival architectural style in the City of Denver. The Oscar Malo Memorial Hall was constructed in 1928 as a “modern” gymnasium and auditorium to serve the existing Cathedral High School and lower schools assembled on the block. The building is constructed out of red brick and cream terra cotta, featuring both neo-classical elements and linear, streamlined designs, more in keeping with the era of its design. The main entry is located on the east façade and features a low terra cotta arch surrounded by glazing that has since been replaced at an unknown time. The few windows that do exist are located on the north and east elevations and feature terra cotta sills. The parapet roof features a decorative terra cotta cornice with decorative terra cotta panels spaced around the perimeter of the parapet. The vast column free interior space is accomplished by steel trusses, and an original suspended walkway or track is hung above the ground floor. Although the original glazing has been replaced, the original openings are in tact and no additions to the building exist. The Oscar Malo, Jr. Malo Memorial Hall is important for its association with noted philanthropists and prominent Denver citizens, Oscar and Edith Malo, and for its use as a state-of-the art gymnasium. 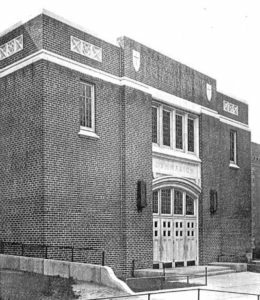 When it was built, the gymnasium was one of the best equipped in the city, featuring a boxing ring, punching bags, complete facilities for basketball and volleyball, hanging ring and trapeze equipment. In addition to being a training arena for athletes, the building was also used for plays, assemblies, diocesan conventions, dances, and other school activities. The building even had a complete apparatus for showing motion pictures, making the gymnasium an educational asset. Most recently the Memorial Hall was home to the “Original Scene,” a city-wide youth theater company operated by Catholic Youth Services. Throughout its 83-year history the Memorial Hall has acted as a cultural hub, offering athletics for schoolchildren and dance and theater classes.